This building was built by J.M. McCaleb, an American missionary, 1n 1907. He had lived in this residence for 34 years before he went back to his country in 1941. This building is a Carpenter Gothic Style architecture, which was used for many American suburban homes at the late of the 19th century. The floor plan is T-shaped with three rooms on the first and the second floor, respectively. The rooms have installed fireplaces with concealed connection to the chimney. The porch on the first floor is on the north-west side of the building. 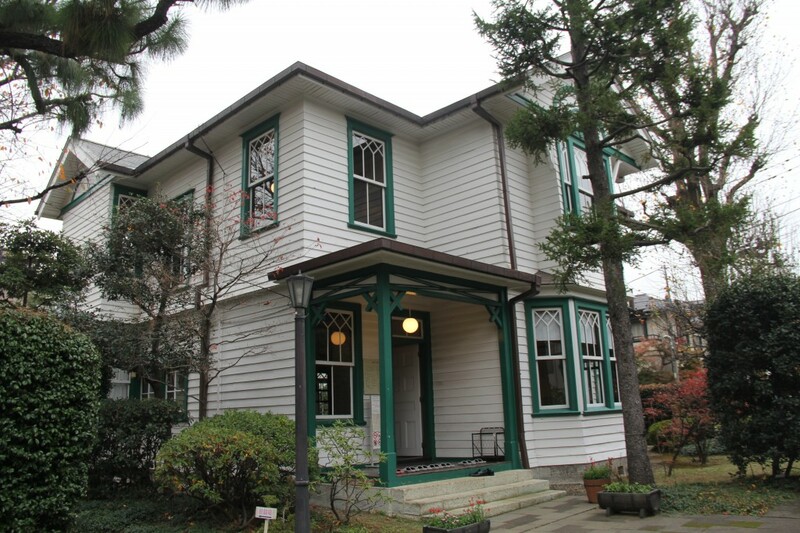 This is a humble foreign house, which has features of American suburban homes of the 19th century, and is valuable as one of few missionary houses in Tokyo from Meiji period. We visit here in our Tokyo North Cycling Tour !